Dr. Bruce Pfau is a thought leader in human capital analysis and management. His consulting clients have included JPMorgan Chase, Walmart, IBM, GE, and ACNielsen. Profiled as one of America’s top 50 executive coaches in “The Art and Practice of Leadership Coaching,” Dr. Pfau was elected to the HR Executive Honor Roll in 2008. 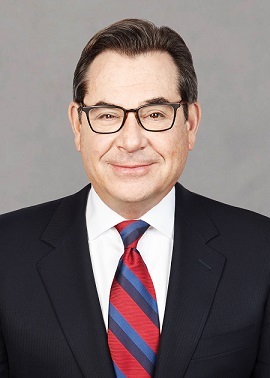 Until 2018, Dr. Pfau served on KPMG’s Management Committee as Vice Chair, Human Resources & Communications for over a decade, where he led a team of 700 managing all HR functions including diversity initiatives and internal and external communications for the firm’s 32,000 person workforce. From 2016-2018 Dr. Pfau also served as C-suite advisor with a focus on talent management, human capital strategy and HR due diligence for some of the world’s largest corporate and private equity organizations. Dr. Pfau served KPMG’s Board Compensation and Partnership committees, advised on 3 CEO transitions and led annual Board effectiveness reviews. Dr. Pfau currently serves on the Board of Sabert Corporation, a leading global manufacturer of innovative food packaging products and solutions founded in 1983. Dr. Pfau is a past Board member of the National Multiple Sclerosis Society and of the KPMG Foundation. Dr. Pfau holds a Ph.D. in Psychology from Loyola University of Chicago and a BS in Psychology from Tufts University. As an aligned Star Mountain Senior Advisor, Dr. Pfau assists Star Mountain with its own team development as well as helping to analyze and optimize Star Mountain’s portfolio company management teams.